Your Thanksgiving favorite just got that much better. What's the secret? It's the bread! 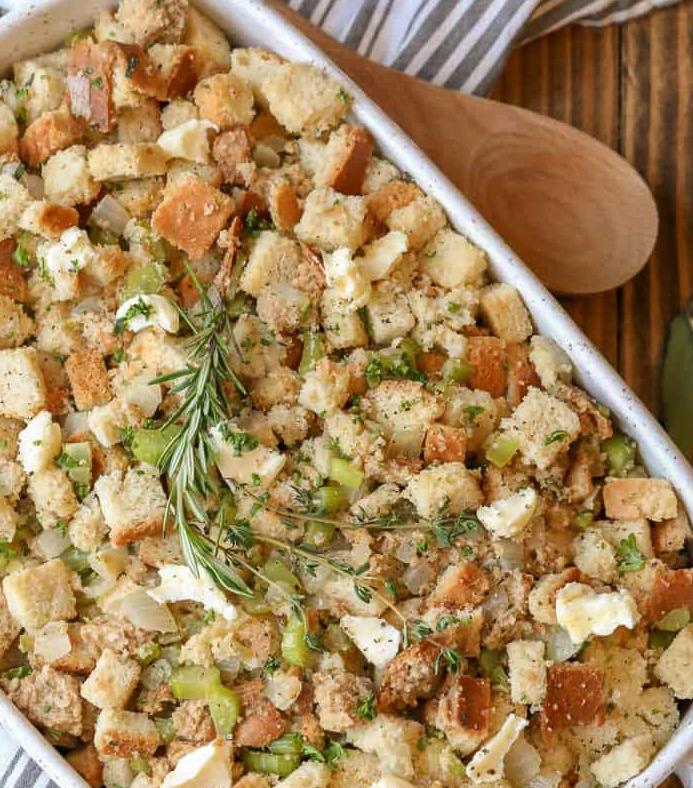 Try this tasty recipe for Thanksgiving Stuffing, right from Milio's test kitchen! 2. Melt 1/2 cup of butter in a large skillet over medium heat. 3. Add onions, celery, sage, and thyme and stir to combine. Add salt and pepper to taste. Cook for 5 minutes. 4. Add turkey or chicken broth and bring to a simmer. 5. In a large bowl, beat 2 eggs with chopped parsley. Add bread cubes and then pour in the vegetable and broth mixture and toss until coated. 6. Transfer to a large greased baking dish and slice remaining butter into small cubes to be placed around the top of the dish. 7. Cover and bake 30 minutes. Then uncover and bake until golden brown, about 30 more minutes.